A Long Weekend Hangover (LWH): describes the sum of unpleasant physiological and psychological effects following a holiday long weekend, such as Thanksgiving. The LWH is especially hard to recover from if you were drinking red wine like juice, eating Pumpkin Pie Brownies like vegetables, and singing Moves Like Jagger 14 times during a 3 hour drive. Hangover symptoms may persist for several days after pumpkin pie was last consumed. Scratchy Throat Syndrome (otherwise known as singing Moves Like Jagger 14 times), may require strange green drinks for relief. The Long Weekend Hangover may also be present in animals, most notably the cantankerous feline species. 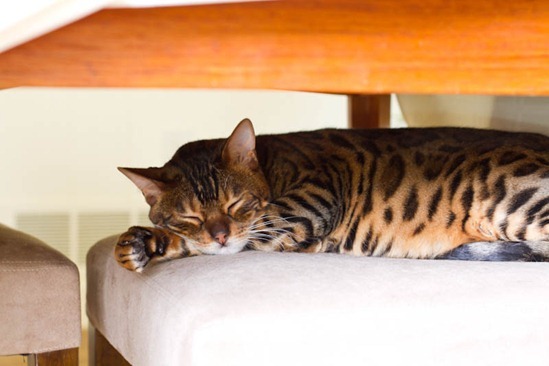 Hibernation under dining room tables may result for up to 72 hours. Cat treats, when left on the chair but not hand fed, are encouraged if not essential for total recuperation. Do not disturb feline or Stink Eye may occur. For complete recovery from LWH, ingesting pumpkin first thing in the morning is necessary or withdrawal symptoms may persist. Recommended Dosage: Pumpkin Gingerbread in smoothie form until symptoms dissipate or until the next long weekend, whichever comes first. My two favourite Fall-inspired smoothies (Pumpkin Pie Smoothie and Iron Woman Smoothie) combined to create a drink that could cure any LWH. 1. Soak the oats, almond milk, and chia seeds for at least an hour or overnight. This helps them digest better and it also gives the smoothie a smoother texture. 2. Place all ingredients into blender and blend until smooth. Add ice if desired. Prognosis…improved and likely to recover. I totally get that. I also love your cat’s markings, s/he’s like a tiny little cheetah! Those are just two of the best flavor combinations ever. I can only imagine how good that tastes. And I LOVE the Sketchy “stink eye” hahaha – that’s so great. Holy gees this looks delicious! Isn’t pumpkin pie better warm though? i really should start adding molasses to my pumpkin smoothies! such a good idea. sounds like you had an awesome weekend. sometimes hangovers are worth it! This looks amazing! I’ve been craving everything pumpkin lately, so I will definitely be trying this one! This looks great! I will making it tomorrow for breakfast!! ha ha ha ha, scratchy throat from singing Moves like Jagger. That was a great line! Yummy smoothie. Perhaps tomorrow morning I will enjoy this! I can’t wait to make this smoothie tomorrow morning! Also that cat is so beautiful. Hilarious. I think this smoothie looks like the perfect foray into the Fall/Pumpkin squash season! That’s really interesting, thanks for sharing! Soooo good! I made it for everyone in my family and it was a hit! I’m going to add a scoop of pea protein next time and have it for breakfast! If you could not have banana, what would you do, just leave it out or substitute it with something else? And if the latter, what would you recommend? Looks delicious! I did something similar a couple of weeks ago and topped it off with a bit of coconut whipped cream. mm-mm. I can relate to the LWH, my gosh it’s hard to get back into the swing of things. wow you are a genius girlfriend!!! Hate, hate, hate those LWH!!!!! I’m actually coming off a 4 month bender so I feel you! And oh my goodness does this look amazing! My Vitamix has been feeling a wee bit neglected lately and this may be just the cure…. Wait – so pumpkin pie brownies AREN’T a vegetable? Smoothie looks delicious! It’s still too warm in CA for me to hop on the fall baking bandwagon – it’s so disappointing! I’m ready for sweaters and scarves and spiced apples. sketchie is seriously so adorable it makes me want a kitten!! & the smoothie looks amazing I love pumpkin + gingerbread! Haha, my cat gives me the stink eye often. It’s just…adorable. Aww adorable pictures!! This smoothie looks amazing! Wish you had posted this yesterday so it could have made my epic mile long vegan recipe round up! However, combining the two quintessential holiday flavors in smoothie form is puer genious … and pure yumness. Thanks Ang! 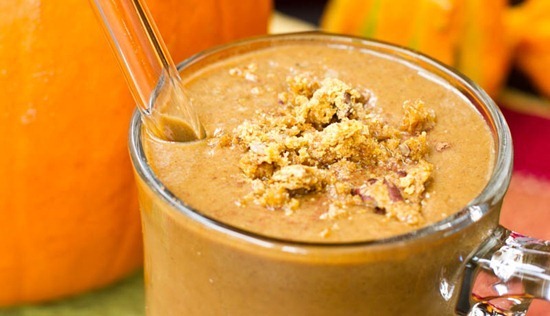 Pumpkin pie smoothies are seriously one of the best! They’re so thick and creamy. Have you ever tried using butternut squash? Tastes even better! 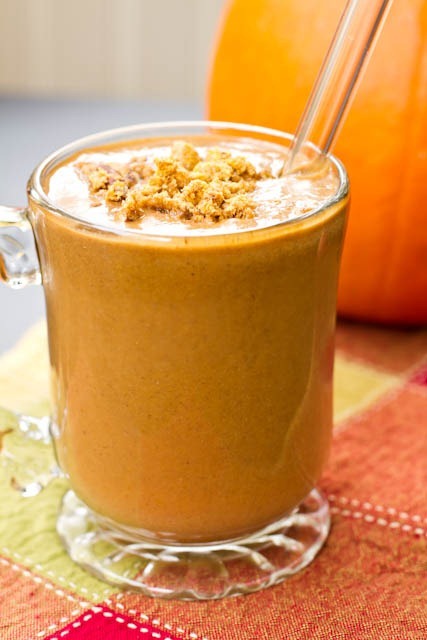 I am LOVING all of the pumpkin smoothies that are popping up on the blog world today…yum!! YUM! Making this as soon as I get home tonight. Pumpkin Gingerbread Smoothie for dinner it is! 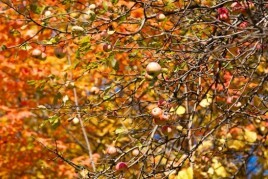 Love your new blog header–so festive for fall! 1) Your cat is stunning! 3) I literally twitched with excitement seeing the title of the post. Yep, I’m makin’ this bad boy!! Sketchie says thank you! And then gives you the stink eye for good measure. This sounds delicious! I love the added molasses into the smoothie! Angela – where do you buy your straws? Looks like another great smootie! Arguing with my cat this morning. He insists the words are “moves like jaguar”! Pulled up the lyrics on my computer to prove him wrong, and he says “I can’t read the screen without my glasses, and unfortunately my glasses are broken”. I’m thinking someone is just a sore loser. cannot wait to try this- move over green monster there is a new sherrif in town! Oh yum! This sounds fantastic! I have been having smoothies once a day recently so I’ll have to work this into my options. Thanks! I love the addition of blackstrap molasses! Gotta try this. Not a pumpkin fan but I love that this just screams “Fall!”. It makes me so excited for cooler weather. 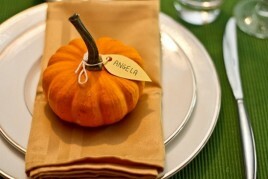 angela, do you have a preference for the type of pumpkin/winter squash you use in this? 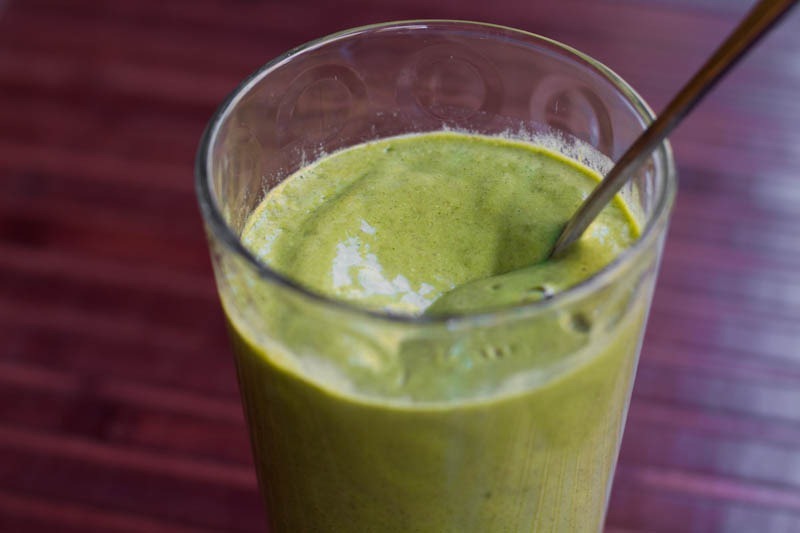 I just used organic canned pumpkin in this smoothie :) I’m sure many types would work though! I’m a with you on the hangover. Except mine is a long vacation hangover. 2 weeks in Italy and my body is so tired and confused it doesn’t know which way is up! Lots of green smoothies, for sure! 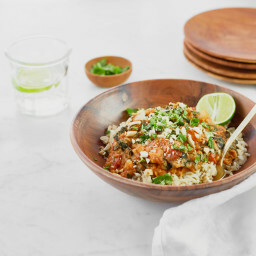 My latest was with butternut squash – Delish! very cute post! super creative. I just recently bought some molasses for a pumpkin spice cake (which my family promptly devoured) and have been looking for other ways to incorporate it. This smoothie sounds like a great use for it! looks so yummy, angela! love the addition of gingerbread. a perfect fall recipe! wow such a cute kitty! i ate so much for Canadian thanksgiving this past weekend, i must clean up my act over the next few weeks! cutting sugar, upping the greens and water! glad you had a nice long weekend. ps- that is one cute kitty!! Pumpkin AND gingerbread? I love it. I’ll definitely be pulling this out of my hat after Thanksgiving in the U.S.! Seriously can’t get that song out of my head and when I finally do, the radio plays it and starts the process all over again. Looks delicious and is just perfect for fall. Great recipe! Mmmmm can’t wait to try this one, where did you get your big straw? I find it very hard to drink my smoothies from a small stray but prefer a straw to just drinking from the cup. this combines the best of both worlds…fall (pumpkin) and winter (gingerbread)! Love it! I’m 100% drooling…I need this ASAP! 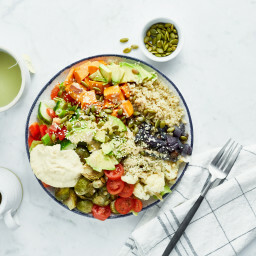 This looks so delicious and healthy. I love the chia seeds! Are you still doing the no-gluten thing? If so you want to be sure to get gluten-free oats. Just saying because a there’s a lot of misinformation about there about oats being gluten-free, but unless they are certified, they can have gluten from cross-contamination. So be careful! Mm I love pumpkin smoothies, especially with oats in them. This one sounds delicious! YUM. Is all I have to say to this. I can’t wait to put pumpkin in my next smoothie! I’ve yet to have pumpkin ANYTHING this fall…the time has come…Thanks for sharing! Your kitty is so adorable! We can learn so much from watching cats relax, I think :). Hahaha — I think I had a case of the LWH too! Usually my husband swears by the strangely sticky & sweet orange drink from McDonalds as his “cure all” (this stems back from some long ago college nights) but I’m thinking this smoothie would definitely be a better choice (for me anyways LOL)! I made a pumpkin version tonight and it was awesome. Next time I might try adding sage or cinnamon to it too. OOOOOH!! You just inspired me to make your squash vegan mac & cheeze this week using pumpkin instead of butternut squash, can’t wait!! I am also loving your recipes … I can’t have ANY kind of dairy because of allergies and love vegan recipes … I’m about 60% vegan I think. Thank you very much for sharing your story, very inspiring! !, and the FOOD!!! It’s hard to get my husband to like non-dairy food, but your blog has helped so much!! He absolutely loves the Pumpkin Gingerbread with Spiced Buttercream … he couldn’t even tell it was vegan, that’s a feat unto itself!!! Thank you so much!! I’m definitely going to try this smoothie tomorrow. 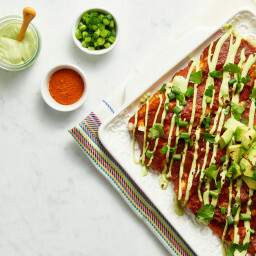 Also, was wondering which green monster is in the picture above, it looks thicker than the other green monster recipes you’ve posted and was wondering what the recipe is because it looks delectable!! Please share. :) Glad to hear that!! I think I used less almond milk and protein powder. I will be posting about my protein powder that I use soon :) I just made a great pumpkin pudding with it! That looks amazing! 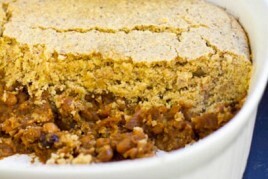 I’m totally going to make this for Thanksgiving. My fam is huge with the pumpkin pie or pumpkin spice foods. That smoothies looks so delicious! I must try immediately. This looks so ridiculously delicious. I need to get to the farmer’s market to buy a pumpkin ASAP! I am going to try this tomorrow for breakfast :I am pretty sure the kids would go nuts over this. That’s my breakfast just about every day since August :) Minus the oats and plus spinach! What happened to something that starts with B and is crunchy?? This sounds delicious and has almost all the same ingredients as the pumpkin bread I just baked! Yum! I can only imagine how good it tastes! I have been reading your blog for a little while now (and I absolutely love it!!) seriously though, don’t tell anyone but your blog is definately my favorite. shhh. This post literally made me laugh out loud! and that smoothie looks delicious. By the way, I made your basic cheese sauce the other day. ohhh myyy wooorddd. so good. you have brought cheezy goodness back into this lactose intolerant girls life. and I am eternally grateful. Hey Jordan, I’m happy you enjoyed the sauce!! I think I’m making a pumpkin version tonight :) Mmm. Thanks for your kind words about the blog! This literally sounds like heaven!! Yummm!!!! I am dreaming of making this first this tomorrow morning, hangover or no hangover! What is the crunch or topping you have in the photo???? This sounds and looks absolutely delicious. Will have to try it very soon! You should open your own smoothie chain :) I’d be there everyday. Fun post! Made me giggle…and I can’t wait to try that smoothie! Looks delicious. While the recipe is yummy, the Sketchy Stink Eye is tops! hehe, so necessary sometimes the long weekend cure ;) that smoothie looks SO good! Your smoothie looks fabulous. YUM! lol you can cat sit anytime!! On a pumpkin related note – I made your pumpkin cinnamon rolls on this particular long weekend and my family and I thank you! It took most of the day but the smell in the house was awesome – I even told my husband he wasn’t allowed to cook the salmon is originally planned for supper because I didn’t want the smell to go away! haha that’s cute :) So glad you all enjoyed them! ooooh yummo!!!! Looks like a perfect LW hangover cure to me! Cute post! This smoothie looks amazing… can’t wait to try it!! Somehow I can never get a pumpkin smoothie to come out right. I think it’s because I don’t eat bananas and I know they usually create the best consistency. They make me crazy bloated. Bahaha: Moves like Jagger. I was also singing that all weekend long. Especially the “Moooooooooves” part. Best ever. Whew! With you there 100%. What a Thanksgiving weekend… definitely time to detox and get back into the regular swing of things and what better way to kick it off than with this? Pumpkin is the blood of autumn. Loves it! 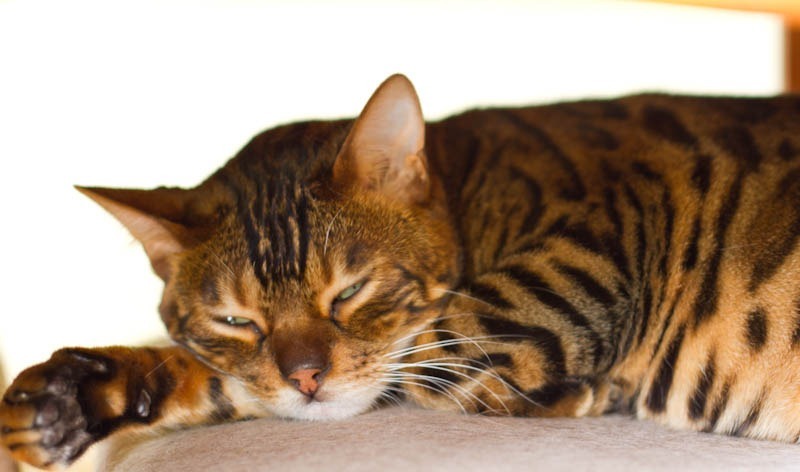 PS – I was fixated by photos of your cat – sooo gorgeous! What breed is she/he? this looks SO yummy! I think I might need to try it! That smoothie looks decadent; nice & thick! YUM! this smoothie sounds amazing, full of my favorite things. I’m seriously in love with your smoothie. Like whoa. Glad I’m not the only one with LWH issues….now I even have a name for it! hahaha… why do I seem to have LWH’s regularly, like once a month? I blame it on the hormones! Hi Angela, I’ve never had a pumpkin smoothie before and I’m a little scared to try it! I’ve seen them around… maybe I should give them a shot. This one certainly looks intriguing! I had a question for you as a fellow blogger — I’m curious as to why your posts don’t have date stamps. I see them when they are thumbnails and I’m scrolling through the archives, but not in the full view of a post, as in if I click a post that is linked from another post I can’t see the date when it was written. Is there any reason for that? Playing detective I’m guessing the first commenter is writing on the same day, but I thought maybe there was a reason for omitting the date in the post itself. Thanks so much, love the blog! DELICIOUS! This looks so yummy! My cat gives me the stink eye all the time. LOL! I drank wine like it was juice tonight. Oy! And now I have that song in my head darn it. Double Oy!!! Wow, this looks amazing! I’ve been wondering how to transition my smoothies into fall (the tropical fruit in my freezer just isn’t calling to me). Can’t wait to eat this! My cat could out stink-eye your cat any day of the week! :) The smoothie looks amazing! Yum! I love pumpkin and molasses together- such a comforting autumnal treat :) After learning about the awesome nutrition blackstrap molasses has, I try to consume it as much as I can! Angela I am sick and very sleepy and this is the first time I’ve posted but I must say I LOVE YOU!!! You are wonderful and inspirational…. And I’m so happy it’s fall and time to drink pumpkin smoothies again a-la-Angela! Keep up the awesome work woman! Oh wow that looks AWESOME! I’d have that following a homemade pumpkin latte! I made your pumpkin pie brownie last year and everyone loved it. Such a great recipe. hehe anyone would think you like Moves like Jagger……. ;-) Loving your Winter warmers, they make me feel less anxious about the forthcoming dark evenings. What a great smoothie! I think I’ll have that as my dessert tonight! I made your Pumpkin Butter last night and it turned out great! It seems your Pumpkin Butter is all over the blog world! Thanks for the recipes! LWH…love it! :) Also, love your recipe for success! Going to try this this morning for bkfast! Might add some spinach…just because I have a hard time having a smoothie w/o spinach these days! Need … pumpkin … now! I made this right away and yum,yum. This is the best! It’s a healthy pumpkin pie in a glass! My 9-year-old also gives it high marks. I wish we had all day to just make your recipes. Haven’t found anything I don’t like! 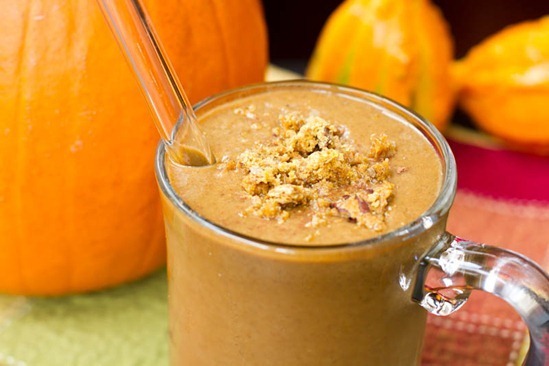 Pumpkin is my happiness during fall season, and this smoothie looks amazingly good! Definitely trying it here. Now Angela, I know that is not the topic of the post, but your “green drink” picture looks so creamy and delicious, would you mind sharing with me? I love green smoothies! P.S. What a great remedy for a LWH! so thank you for your delicious recipes, for getting me into veganism and running, AND helping me to start to overcome my ED. Hey Kaitlyn, Thanks for your comment! I’m glad you are enjoying the recipes (and smoothie!). Thanks for your feedback Hayley! I’m happy to hear that you enjoyed the recipes :) I think the smoothie is one of my top 3 too. Brekkie tomorrow sorted out! Whoop whoop! I had it for breakfast and found that with the protein powder it was quite filling. I was fine until lunch. You can always modify it based on your needs though! You said with the protein powder it was quite filling. There’s no protein powder in the recipe. Do you typically add protein powder to all your smoothies, even if it’s not listed in the recipe? How much do you add? Vanilla or plain? Wow this looks so creamy and delicious! Yum! This is a perfect Fall pumpkin treat! I think I’ve already commented once before on this post but I’m enjoying a pumpkin gingerbread smoothie right this minute and oh my stars….super delicious….I love the addition of the molasses….thank you!!!!!! Oh my word. I wish I could eat this right now. I love anything with pumpkin! This was INSANELY good. I drank one for breakfast this morning. Tasty and super filling. I’ve been making this all week as an oatmeal! (well monday was smoothie form). It’s helping me get back on track to healthy eating, and mmm is it delish and filling in the now chilly mornings! Pretty much anything with pumpkin is going to make me drool over it. 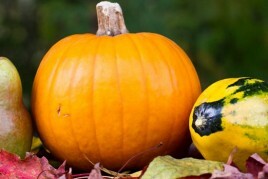 We at Skinnyfat have gotten into the spirit with chocolate chunk pumpkin bars and pumpkin brownies. I think I’m going to make this next because it looks and sounds fantastic! I am allergic to bananas and I believe most (if not all) of the shakes have banana in them. Any ideas of what I can do to replace the banana? There is just nothing like a banana and leaving it out just doesn’t do the trick! Your cat is gorgeous! And the pumpkin smoothie looks divine. Overall, this blog post gave me many smiles on a cold Sunday morning. So, thank you. This looks delicious. What is the crunchy stuff on top of the smoothie? Made this tonight and LOVED it !!!!! I made this like it was going out of style back when you posted it in 2011. Then I got pregnant and got too lazy to cook much, then I had a baby and really stopped cooking almost altogether. But I’m happy to say that I’m back to making this after an almost two-year hiatus. My little girl is now 15 months old and she loves this smoothie, too! I have to say… I truly did not enjoy this recipe. I’m usually a big fan of your recipes (and smoothies in general) but the consistency here was just subpar. The chia seeds didn’t expand and tasted like toes. But keep up the good work! I loved your pumpkin mac’n cheeze sauce as well as your butternut squash mac’n cheeze sauce. Thanks, Angela. Tasted great…good way to use up my blackstrap too! The recipe sounds good. I’ll surely try it over the weekend. I have some guests coming over.